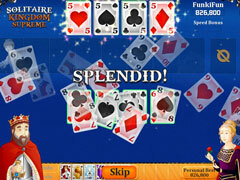 Looking for a new twist in your Solitaire fun? 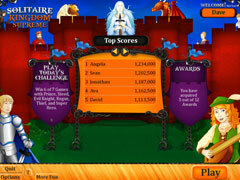 Solitaire Kingdom is a fresh new way to play your favorite Solitaire game, and it is totally fun and addictive. Play the Solitaire you know and love, but now you get to win new special "Kindgom Cards" that will give you fantastic new game changing powers. 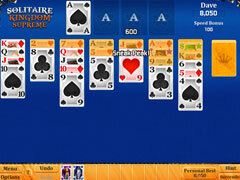 Just select which Kingdom Cards to add to your deck and become the Solitaire master you know you are. 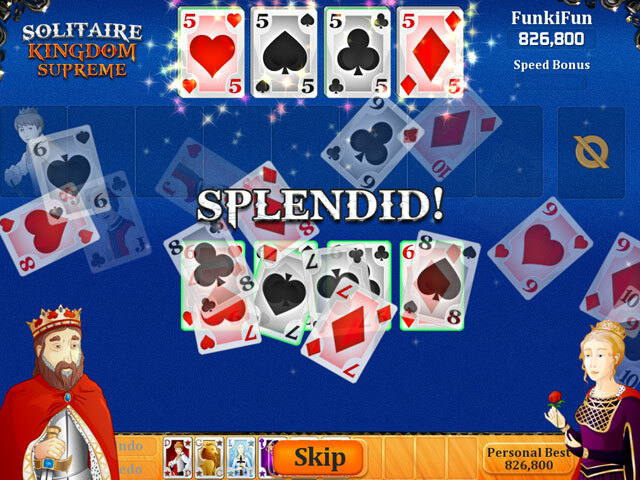 Other neat Solitaire Kingdom features include: Quick play which lets you play fast with just one click per card, an Award system that rewards you for big plays, and infinite Daily Challenges that keep the fun going, and going, and going. And finally, as a reward for your great playing, you will unlock the the ultimate solitaire challenge: The Dragon Double Deck game awaits!